Meaning ‘two harbors,’ Honolua Bay is one of the most culturally important areas of Northwest Maui. It has a rich plantation history and one of environmental importance too. 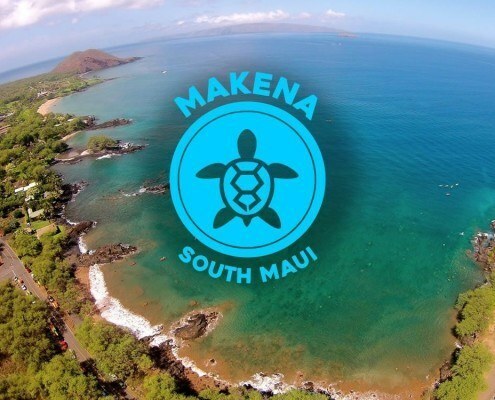 It currently hosts one of the most popular surfing and snorkeling locales as part of the Honolua Mokule’ia Bay Marine Life Conservation District. Visit this area on tour to learn more about it. The area we explored was incredible– lots of reefs, sea turtles, and other marine life. There’s really not a lot I can say to properly translate how fantastic the adventure was! The whole experience is well worth every penny and every wrong turn (your driving or your paddling). Thanks for a most memorable experience. 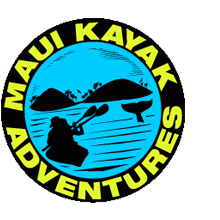 I went on a tour with Maui Kayak in mid-May. My hotel concierge suggested they were the best kayak tour, so I went with them. The tour was amazing, Peter was the perfect guide – super knowledgeable about the marine life and turtles, great at explaining everything about the kayaks. After a strong head wind paddle the bay provides protection from strong winds. 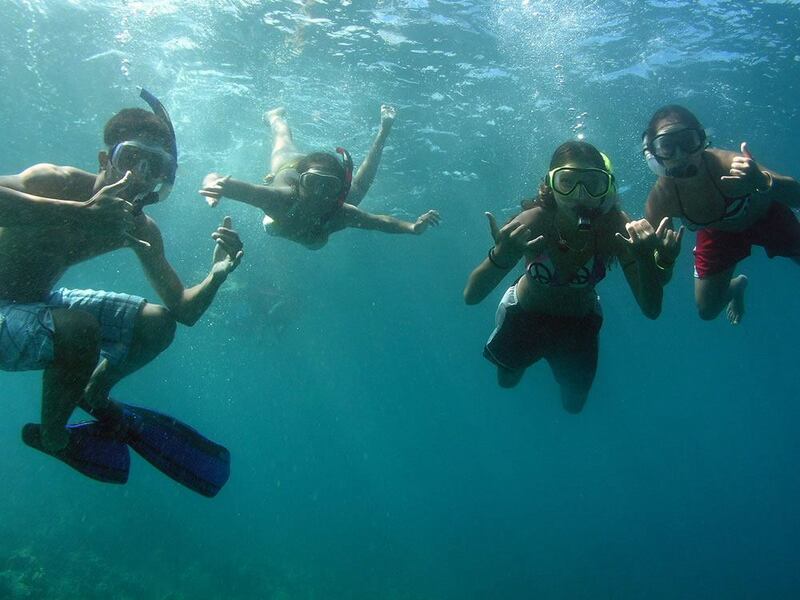 It’s a calm and peaceful setting for incredible and clear snorkeling amongst the thriving marine life. You’ll get to see the rugged beauty of the bay highlighted by excellent views of Maui’s neighbor island of Moloka’i as well as the Pailolo Channel. Most companies charge an additional $40-$60 for photos. With us, you’ll get digital web photos from our tour guides for FREE after the tour! We’ll get all the special moments, from start to finish so you can just relax and enjoy the tour. 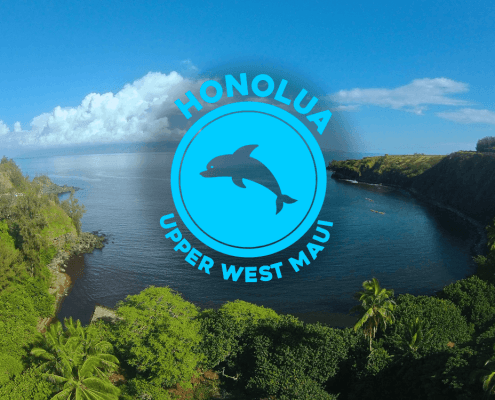 Guests will be delighted to see a diversity of aquatic life – sea turtles, coral formations, endemic tropical fish and even a chance of Hawaiian spinner dolphins. The rough water and strong winds means this tour is best left for physically fit guests or those with paddling experience. No children under age 12 on this kayak tour. Originally used for raising cattle, fishing, and farming popular crops such as aloe, coffee, and taro, Honolua Ranch became Honolua Plantation after the first pineapple fields were planted by horticulturist David T. Fleming in the early 1900s. The crop was a success, and by 1920, Honolua Plantation was the largest private label producer of pineapples in the United States. The rugged beauty of the bay is highlighted by steep, rocky cliffs backed by thick jungle scenery, with excellent views of Maui’s neighbor island of Moloka’i and the Pailolo Channel. Because of its location, the bay is typically protected from strong wind, creating perfect west Maui snorkeling conditions to view the abundant wildlife. In 1978, following the grand opening of Maui’s Kapalua Resort, 45 acres of the area surrounding Honolua Bay was named a Marine Life Conservation District in an effort to preserve the area’s natural beauty, geological features, and unique marine life. Under strict guidance from the property’s family members, marine life has thrived, allowing coral formations, schools of endemic tropical fish, and even pods of Hawaiian Spinner Dolphins to remain a common sight within Honolua Bay. 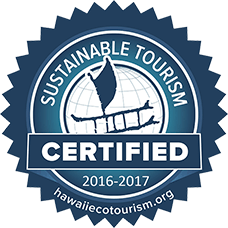 Honolua – Future State Park of Hawaii! Most recently, Honolua Bay was saved from commercial and private development by members of the Save Honolua Coalition, and has now been selected as a future State Park of Hawaii! 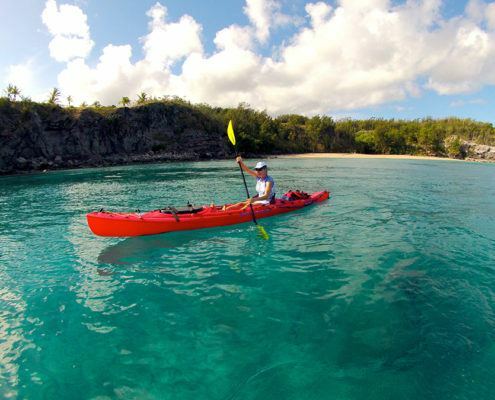 Paddling along the coastline, this West Maui Kayak Tour departs from D.T. Fleming Beach Park, where our guides lead you to Slaughterhouse Bay with its beautiful beach, (one of the best in Maui) and then onto pristine Honolua Bay. 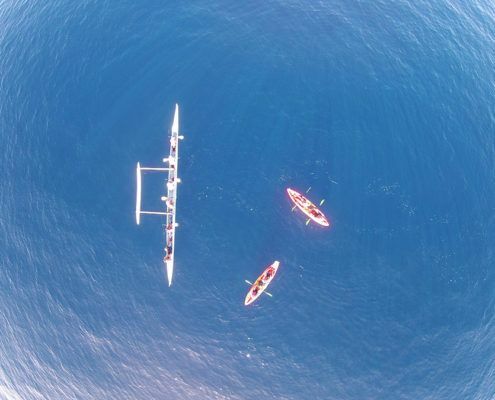 A paddling tour to Honolua allows you to easily reach great snorkeling spots, a very long swim for those who enter from the rocky, rough shore at the head of the bay. 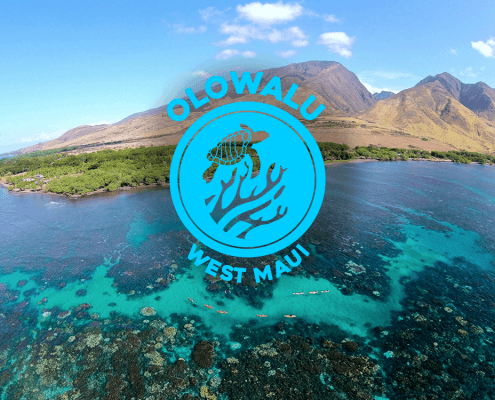 Local residents and officials have worked hard to keep public access in the area open to all visitors, and we recommend a Honolua Bay snorkeling tour to see this stunning area for yourself. 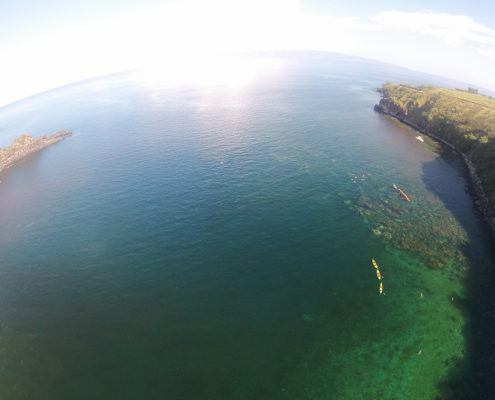 Enjoy the beauty of the ocean at Honolua Bay, Slaughterhouse Bay and even D.T. Fleming Beach, a top rated beach itself. Honolua Marine Preserve is the home of surf competitions in the winter and a snorkeler’s delight in the summer. 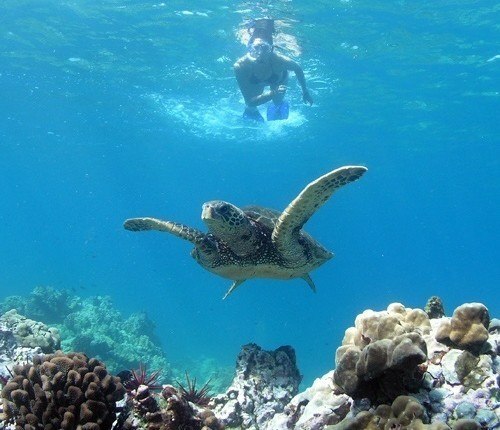 Enjoy an abundance of fish, turtles and sometimes even manta rays. Only available in summer months due to surf conditions.